Someone asked me recently how many chickens I have. I could only guess. In winter, I take a nightly headcount of all the birds during evening chores. Now? A headcount is practically impossible with so many free-ranging chickens, ducks, turkeys, and guineas loose. During the day they’re all out and about doing bird things. At night, certain ones return reliably to the henhouse or other reinforced pens to be locked safely inside. Others pick spots in the trees. 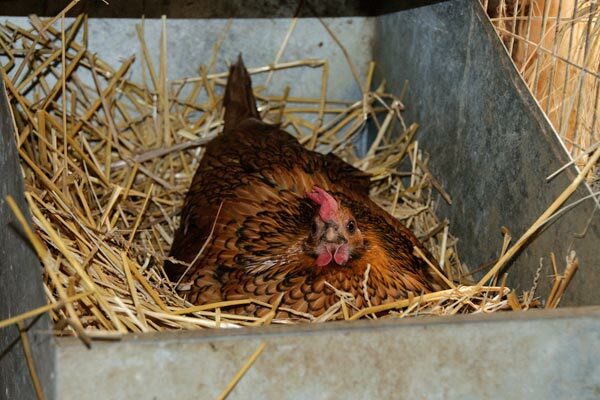 And then there are all those broody hens, particularly the banties. They hide their nests. 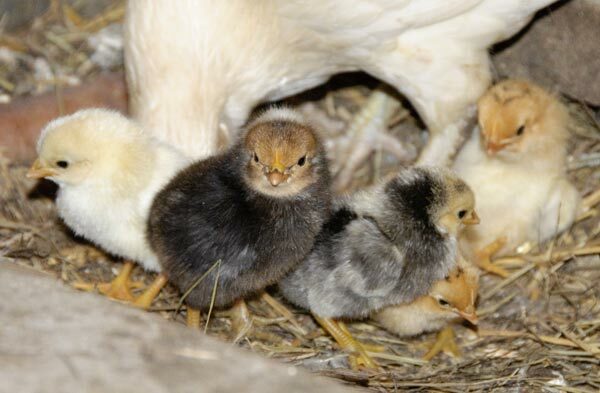 They hide their chicks at night in various shadowed corners, crevices, and crannies in the barn. I don’t even know how many banties I have now, let alone how many are nesting or have chicks. On a given morning, there might be five or six hens with brood of various sizes hanging about waiting for bits of cracked corn to appear in the feed pans. We keep tabs, loosely, on certain favorite hens. We count their brood, note their habits, and celebrate the fierce protectiveness they display when their young are threatened. 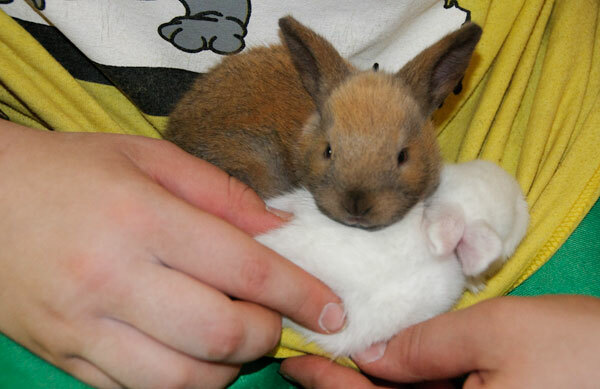 We rescue trapped chicks, injured chicks, and tiny chicks that don’t seem to belong to anyone. 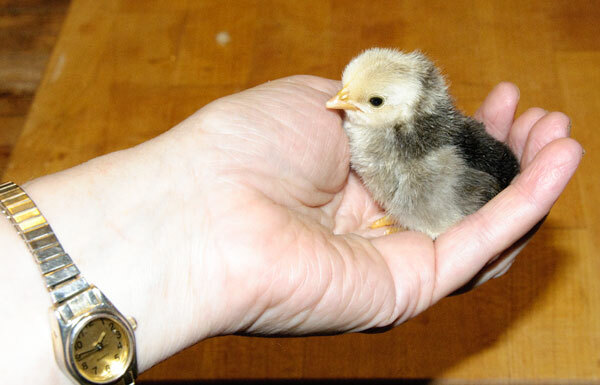 Those we place in brooders with the incubator chicks. Sometimes the orphans make it. Sometimes not. Mother Nature’s ways can be harsh. We haven’t allowed the rabbits to be so fruitful this year. Right now, we’ve only one nest of kits. 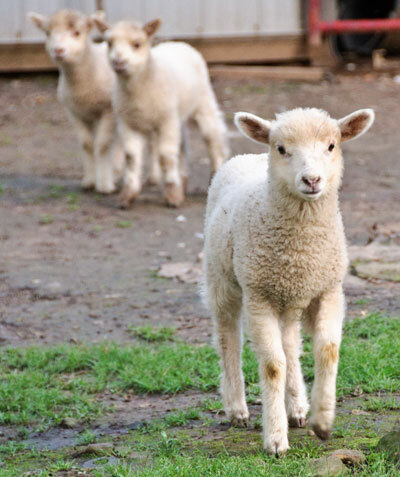 They’re a mixed batch of white and brown with a meat breed heritage. I suspect this little sweetheart will be a keeper. 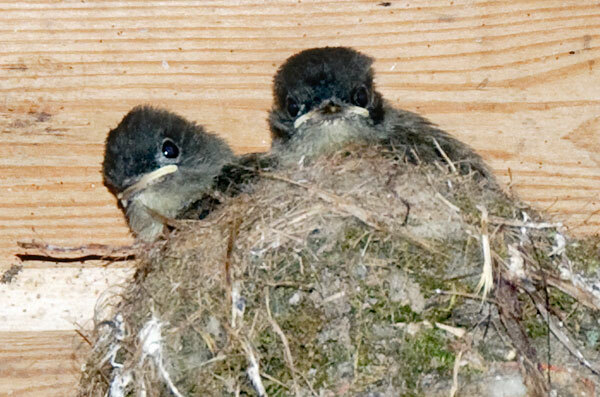 The barn swallows successfully raised a brood — thus far. There’s still some danger from the owls, but I’m hoping that the presence of so many adult turkeys roosting nearby is a deterrant. I do love the owls, but I’d prefer they do their hunting elsewhere and allow my beautiful, bug-eating swallows to propagate freely. Spot, this year’s favorite lamb, remains gentle and friendly. She’s a bit of a nuisance at times because she can still slip out between the pen rails and get into all sorts of trouble. She is, at least, easy to catch when she does that. The twins, unfortunately, remain skittish like their dam. These three are the sum total of this year’s lamb crop from our small spinner’s flock. This is why, in some ways, chickens are better than sheep. They just keep making more.